The SIOP logo is the embodiment of SIOP’s values and reputation. 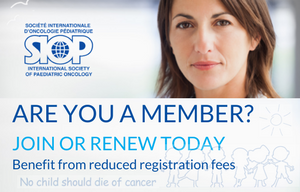 It is a valuable asset and a powerful tool for building and publicly acknowledging partners within the field of Paediatric Oncology. Under the conditions detailed below the SIOP Board may grant auspices, i.e. 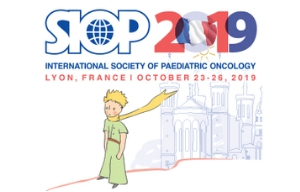 the use of the SIOP logo, for educational activities that fall within the scope of SIOP’s mission and objectives. • In all cases, the activities of the company or organization seeking to reproduce the SIOP logo must fall within the scope of SIOP’s mission and objectives. • The quality of this company’s activities must correspond to SIOP’s own high standards of ethics and scientific integrity. • The logo provided by the SIOP Office must appear ‘untampered’ (colour, slogan, size etc.) in accordance with the guidelines described below. • All requests will be dealt with by the SIOP Office and brought to the attention of the Board which will have the authority to officially provide SIOP’s agreement. The decision of the Board cannot be appealed. • Any request for changes to this policy will have to be agreed on by the SIOP Board in its entity. • Any active SIOP member can request SIOP endorsement by contacting the SIOP Office. • On site promotion of SIOP brochures/flyers/mail shot if suitable time slot available and in return promotion of event on SIOP website. • The organizer is asked to provide contact details of participants (mailing list). • Unless there is a contractual agreement the endorsement does not entail any financial or other obligations/liabilities on the part of SIOP. • The SIOP Office should receive a copy of any print material with use of the SIOP logo prior to its release to ensure adherence to this policy. • The meeting should not compete with any SIOP activity. • SIOP is not involved in the organization of the event. • When SIOP endorses or sponsors an event, the meeting organizers should display SIOP marketing collateral, for which the SIOP Office is responsible for shipment. • No decision will be made without sufficient information on the scientific value of the event; including but not limited to topics, speakers and schedule. • Any proceedings or reports from the conference will carry the SIOP logo. • The event is organized and promoted in line with SIOP ethical standards whereas SIOP will decline endorsement that could bring about adverse conditions for our Society, our members, our supporters or our beneficiaries, specifically, but not limited to, funds/donations/partnerships emanating from the tobacco, alcohol and arms industries (not carry any tobacco or alcohol related advertising). • Review with respect to duplication of manuscripts from committees etc. The website is relevant to SIOP’s mission and objectives. The quality of the website is up to SIOP’s own standards. The logo is the official SIOP logo and the visual identity is adhered to (colours, size etc.) in accordance with the guidelines listed below. There is an embedded link to the SIOP website. SIOP is a formal network partner. The logo does not appear alongside the logo of a pharmaceutical company or product unless agreed on by the SIOP Board. The reputation of the networks and partners is such that it enhances SIOP’s own reputation. The SIOP Office receives and approves a preview of all promotional materials before their release to ensure correct logo usage. The logo’s proportions are consistent with what was originally provided. The logo has not been stretched, cropped, rotated, or otherwise distorted from its original form. The logo does not appear in any colour other than its official colours. □ Always use the correct colours. □ Never use an alternate typeface. □ Use the correct size. □ Use the exclusion zone. □ Consider the lifespan of the materials involved and if and when they will need updating. If you have a question about our endorsement policy and the answer isn’t here, please email us by using the button below.